It's not often that you find yourself complaining about an absence of creative licence when a true story is adapted to the big screen. 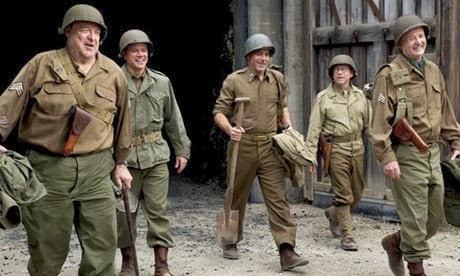 But when you have George Clooney directing Matt Damon, Bill Murray, Bob Balaban, John Goodman, Jean Dujardin, Hugh Bonneville and Cate Blanchett, it's a shame that The Monuments Men doesn't measure up to its highly anticipated collective star calibre. Based on the true story, (as transcribed by historian Robert M. Edsel) this is about the covert mission to protect the world's most valuable cultural artefacts from destruction, during the final years of the Second World War. Dismayed by the thefts being perpetrated by the Nazis, and the accidental destruction of priceless artefacts by Allied forces, Lt. Frank Stokes assembles a motley crew of American scholars and historians and enlists them in the army. Together, these Monuments Men set out to rescue our cultural heritage from oblivion. I'm hoping that "It was the greatest art heist in history" will be the most disingenuous movie tagline we'll see this year. Never mind the presence of Ocean's alums Clooney and Damon- a good heist movie, more than many other genres, is about escalating momentum in the run-up to one big setpiece. The Monuments Men is neither a heist movie, nor one that has any real kind of escalation, thanks to a bitty style of editing and some juddering tonal shifts. Clooney, who also directed and co-wrote the film, is more clearly aiming to make a men-on-a-mission movie in the vein of old-timey Sunday afternoon war movies, harking back to when war movies were more like adventures. But the result comes off less like Inglourious Basterds, and more like The Expendables, but with really good actors standing in for Stallone's crew of action heroes. Rather than keep the team together though, the script constantly contrives to spin them off in different directions. This usually takes the form of buddy pairings, and the best of these is indubitably between Bill Murray and Bob Balaban. Elsewhere, John Goodman winds up with his co-star from The Artist, Jean Dujardin, while the married Matt Damon feels completely marooned from the rest of the film, in a romantic sub-plot with woman-on-the-inside Cate Blanchett. We don't learn much about any of the characters, but it's Murray and Balaban who build the most chemistry together, and are most adept at turning that dynamic in whichever direction the eclectic script demands. Plus, it's just really enjoyable to see both of them in a film like this, a crutch which the other characters lean on much too heavily. Really, the main problem with the film is that it feels like a series of anecdotal setpieces from Edsel's book, rather than a movie in its own right. The narrative is principally driving towards the retrieval of the Ghent Altarpiece, which comprises a number of seminal Catholic paintings and spurs President Roosevelt to approve the mission to begin with, and Michelangelo's Madonna and Child, a piece which ends up having very personal stakes to the Monuments Men themselves. But in practice, the importance of these particular McGuffins tends to wax and wane, in the succession of bits that comprise the film. The screenwriters, Clooney and Grant Heslov, usually have much better form- Good Night And Good Luck exhibited that they can do a historical biopic in a cinematic fashion, and The Ides Of March progressively escalates the professional and personal stakes for its central characters in such a way that would have felt just as exciting in an action movie. After those movies, it's a shame that this feels far more like an exercise of Clooney's aptitude as an old-timey leading man, than as a writer or director. 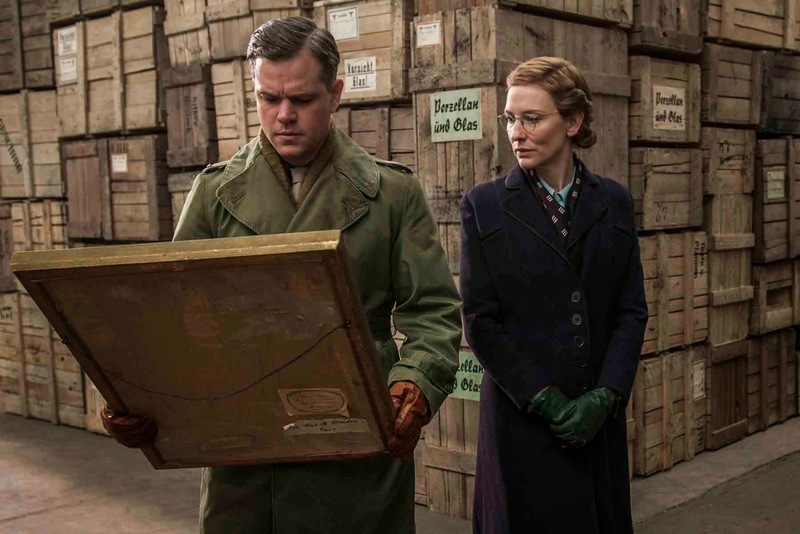 The Monuments Men is ultimately a historiography, which grasps at genre conventions without ever fully bringing them to bear on a story that seems to have left Clooney looking overawed. It has a dream ensemble, but while the cast are all individually pretty good, the failure to make them all click together makes this feel like something of a missed opportunity. It's decent enough, but it would have been a minor entry into the man-on-a-mission genre if it had been released in the 1960s, and having arrived half a century later, it feels especially underwhelming. The Monuments Men is now showing in cinemas nationwide. 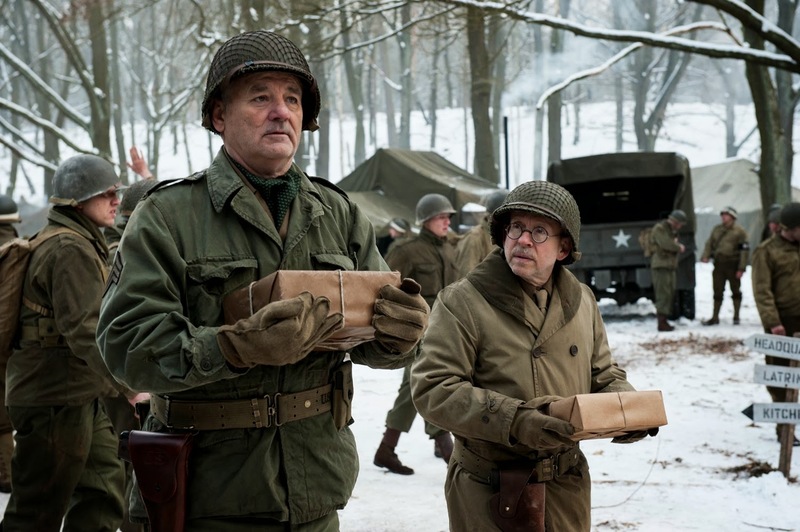 If you've seen The Monuments Men, why not share your comments below?